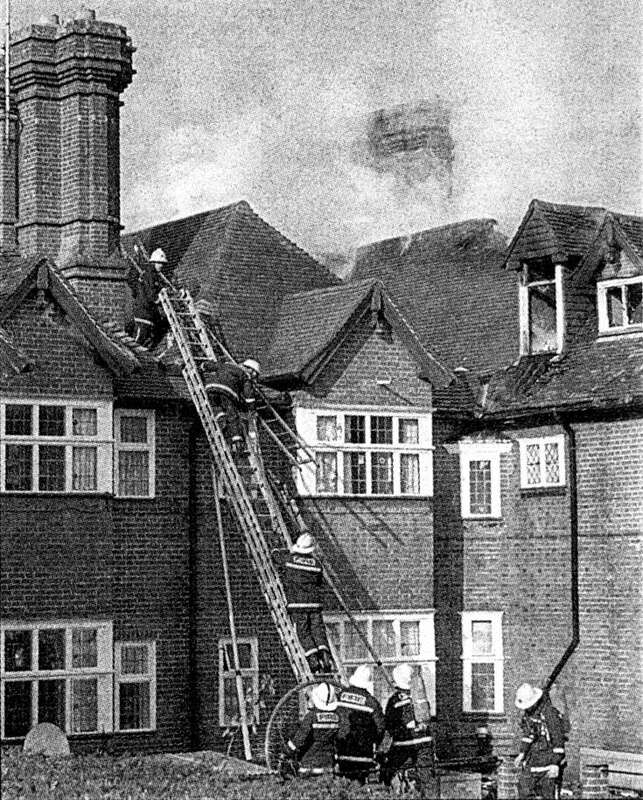 On 21st February 1994 a fire badly damaged Slaugham Manor which had been used as a police centre since the 1970s. Photographs and more information can be found on picture #781. The day after the fire the Evening News gave a figure of £150,000 as the value of the damage caused, but by the time the Leader gave their report 10 days later the amount had risen to £300,000! Select Open Document to read a newspaper report of the incident.